Hi! Thanks for your visit. 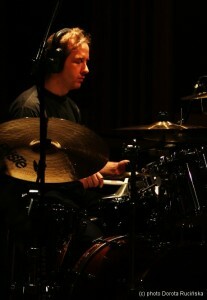 As a drummer, except live concerts and studio recordings for many years I create drum parts basing on audio samples. Dispose the best drum-sample libraries available on the market I prepare drum tracks for the polish music-producers cooperating with our well-known artists. I also produced many projects for musicians from abroad (mostly from U.S.A.) thanks to internet communication. Here You can get custom drum tracks (played, programmed or both) to the any music composition, wherein you wish to apply the drumset and/or percussion instruments and then download these tracks ready to mixing in every studio with Digital Audio Workstation. I recommend the audience of demo examples. These are short phrases of a few rhythms programmed in midi by single hits but sounding so as if were played live by the drummer on acoustic drums. If You attend that this is impossible – listen to demo!